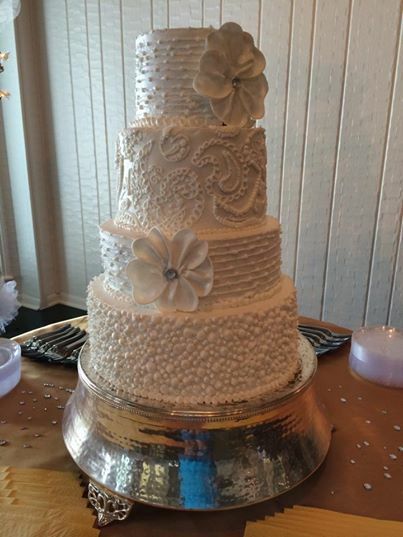 This cake was made for a couple of “kids” in celebration of their wedding. Each was a widow/widower, so this was a very special event and deserved a very special cake. 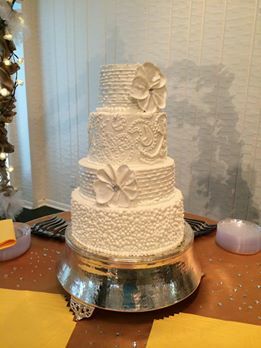 This cake, a gift from the bride’s children, is a four-tier French vanilla confection. It is filled with vanilla buttercream and handpiped with the same frosting. 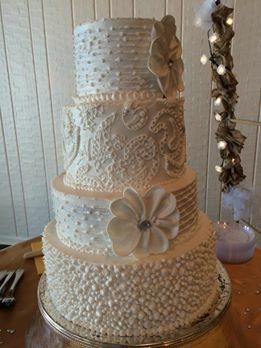 The flowers are hand-sculpted from gumpaste and applied with royal icing. I wish the bride and goom a lifetime of happiness!!! Posted in UncategorizedTagged buttercream, cakes, wedding, wedding cakesBookmark the permalink.